Take the Aerobus outside the airport and get off at Plaça Catalunya. Then take the green metro line, L3, in the direction of “Paral-lel” and get off at “Liceu”. The hotel is a short walk from there. The Aerobus normally runs every 15 minutes and can be taken from outside any of the 3 airport terminals. Take the RENFE train R10 to “Passeig de Gràcia”. Then take the green metro line, L3, in the direction of “Paral-lel” and get off at “Liceu”. The hotel is a 5 minutes walk from there. The bus company Hispano Igualadina connects the center of Barcelona (Sants Estació) to Reus Airport. Its schedules change often, we recommend to search information on the bus company’s website. Bus Schedule. Once you get to the Sants station, you must go to “Sants Estació” subway station and take the Green Line (L3) and head “Trinitat Nova” direction. Get off at the stop “LICEU” and take the exit “Ramblas-Mercat Boqueria”. From Reus Airport to Reus train station there is a bus service. The trip takes 20 minutes to the train station. Then take the train from the center of Reus to the Sants train station in Barcelona. Here you can check Reus transport. Once you get to the Sants station, you must go to “Sants Estació” and take the Green (L3) Line and head “Trinitat Nova” direction. Get off at the stop “LICEU” and take the exit “Ramblas-Mercat Boqueria”. From the airport, buy the bus ticket which connects Girona – Barcelona Nord Station (the SEGALÉS company) Arriving at the bus station “Estacio Nord” exit by the main exit and you will find the metro station “ARC DE TRIOMF”. (red line. L1). 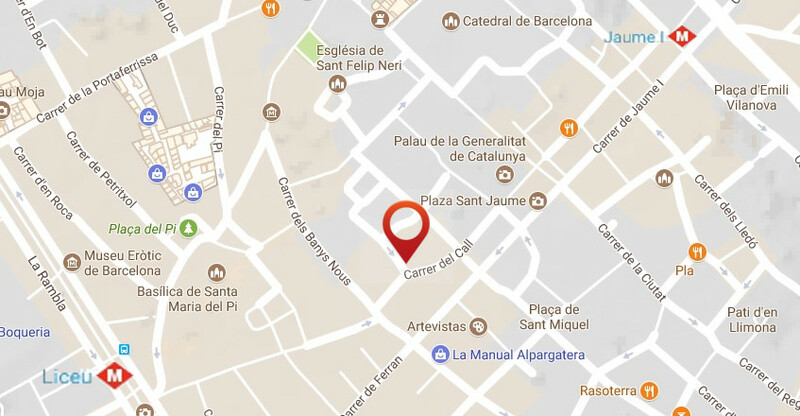 Take “HOSPITAL BELLVITGE” direction and get off at “Plaza Catalunya” From Plaza Catalunya, you can walk down La Rambla until to the Carme street to the right (10 minutes aproximately). The hotel entrance is on 25th Carme street.